"It's time for a celebration! ", a quote right from Scott "Squishy" Squibbles as Monsters University was the "Top Scarer" of the Box Office this weekend - bringing in a screaming $82 million weekend total (United States and Canada totals). Thus, breaking the early $80 million predictions and making Monsters University the second-highest opening weekend for a Pixar film behind Toy Story 3 ($110 million in 2010). It should also be noted that the film brought in an additional $54.5 million from the 35 foreign markets where the film also debuted, making an impressive $136.5 million globally for this Monsterous opening weekend! We would like to extend a big congratulations to the entire Monsters University crew for their work on this magnificent film! UPDATED: June 30th - Monsters University is #1 at the Box Office for the second week in a row, scaring up an estimated $171 million domestically and over $300 million worldwide! Monsters University has yet to premiere in all markets and we can only imagine that the "scare" numbers will increase. 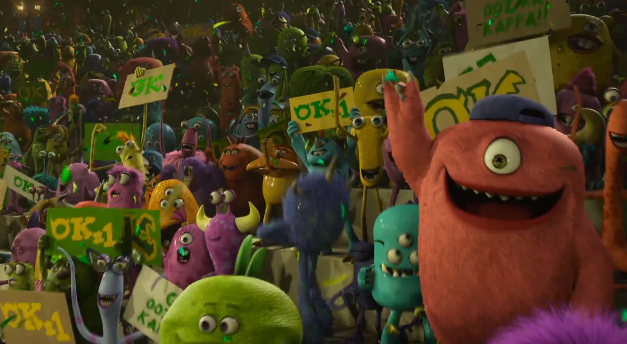 UPDATED: July 7th - Monsters University has surpassed $400 million worldwide this past weekend! - Episode 015 of the Pixar Post Podcast - Monsters U review & the history of Monsters, Inc.